For the second night in a row, I have slept in my car due to critters. 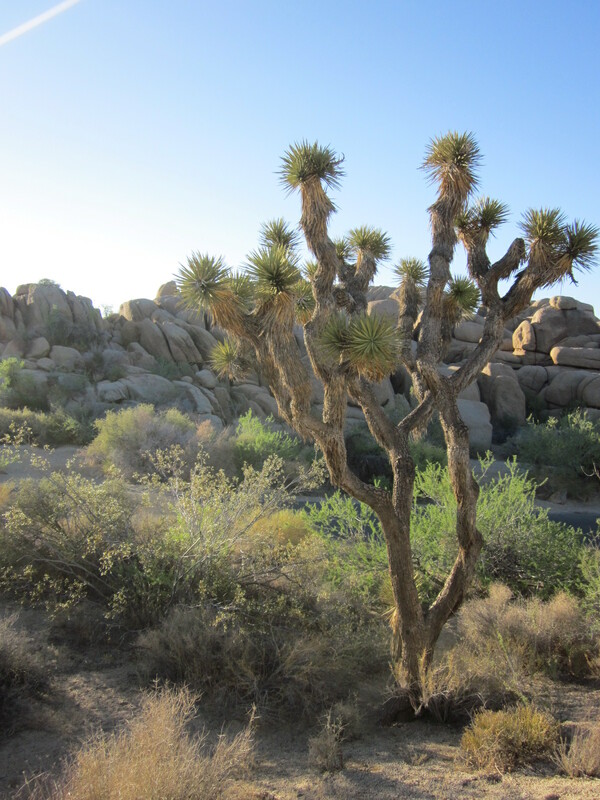 This time: Joshua Tree National Park and honeybees. 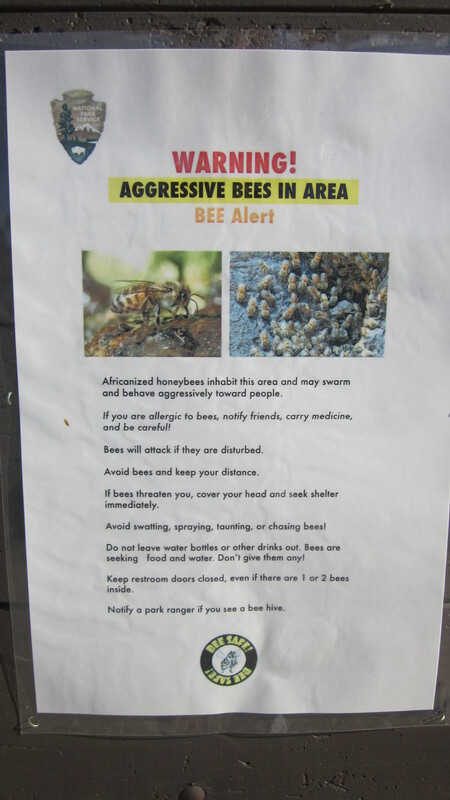 I rarely desire to see a posted notice that characterizes my animal roommates for the evening as “africanized” and “aggressive.” The uncute and uncuddly honeybees were everywhere. Not tons, but constant. There was at least 1 always buzzing and bumping into me if I stood still for more than a second or two. 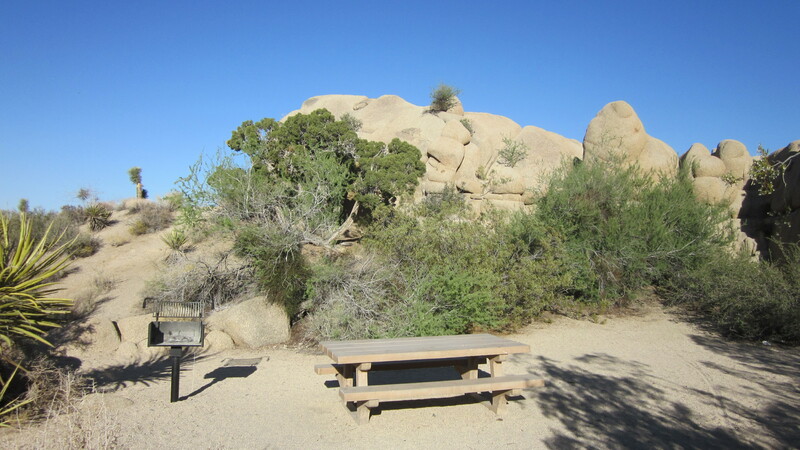 Beautiful campsite though. I was behind a huge rock wall and a bunch of bushes and trees, all cozy. I decided to escape the bees by climbing up the big hill behind my site. 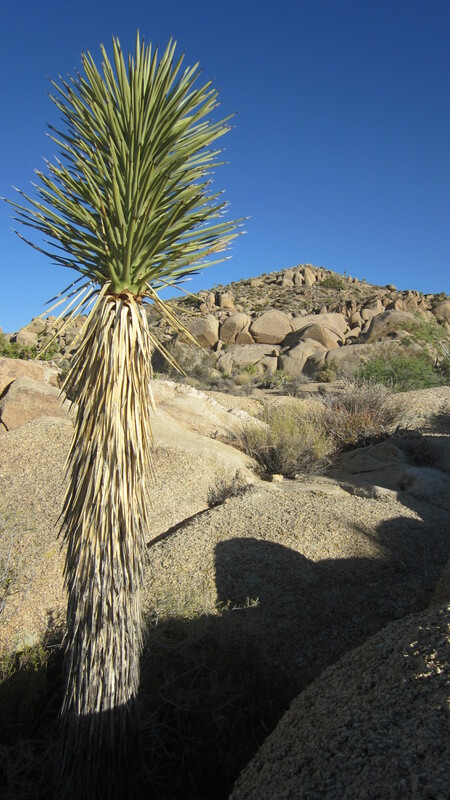 The whole way to the top, I was followed by 1 persistent bee that wouldn’t let me rest. 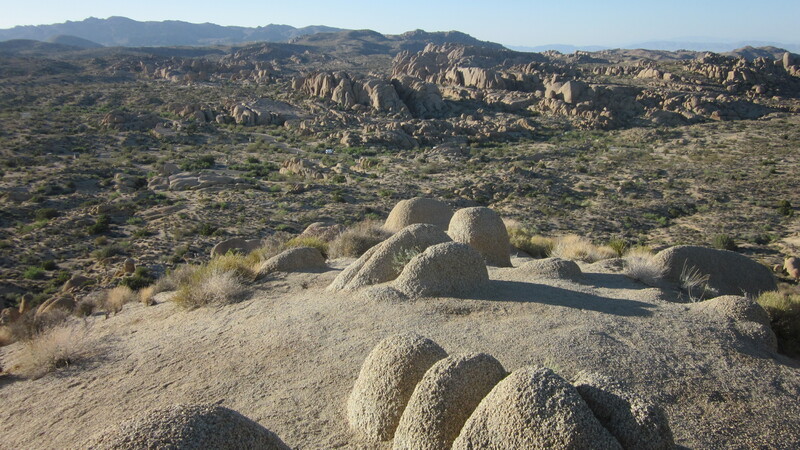 When I hiked back to camp, the bees were still busy doing whatever bees do, which seemed to include: making sure I went insane. I jumped in my car, my only refuge. It was really hot. Every time I tried to crack my window, or crack the sunroof, there were 2 bees that went right for it. I decided to wait until the sun went down, figuring that they would go away. I waited for an hour and a half. During that time, I noticed the ground moving outside my car door. What now!? 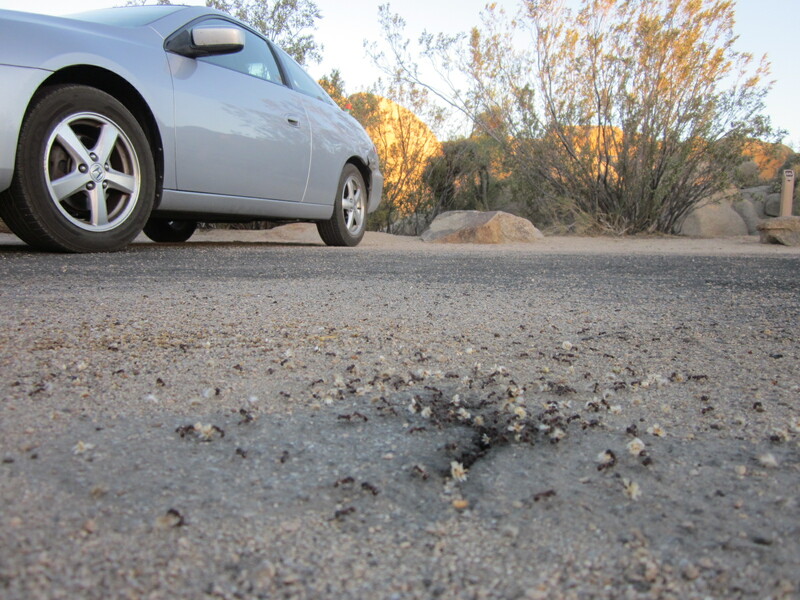 Millions of ants! 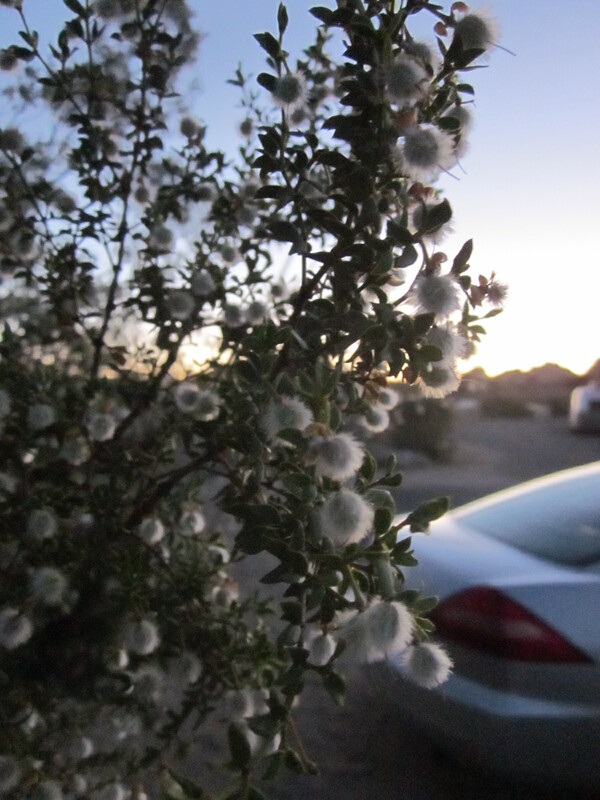 My car was sitting directly on the path between the entrance to their nest and the cottonball-y looking bush that they were frantically harvesting for their underground t-shirt factory. Maybe they’ll both go away at dusk. It seemed to be working. Slowly, the buzzing stopped and the ground got still. 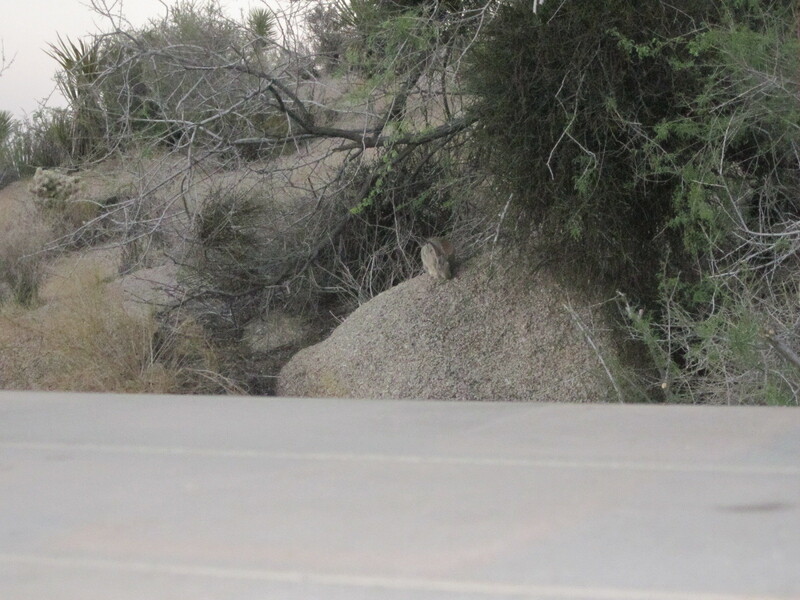 I went out into the darkening night and met a jackrabbit who shared my site without mind while I made a fire and some dinner. I have never seen as many stars as that night. I could see the edge of the Milky Way clearly. 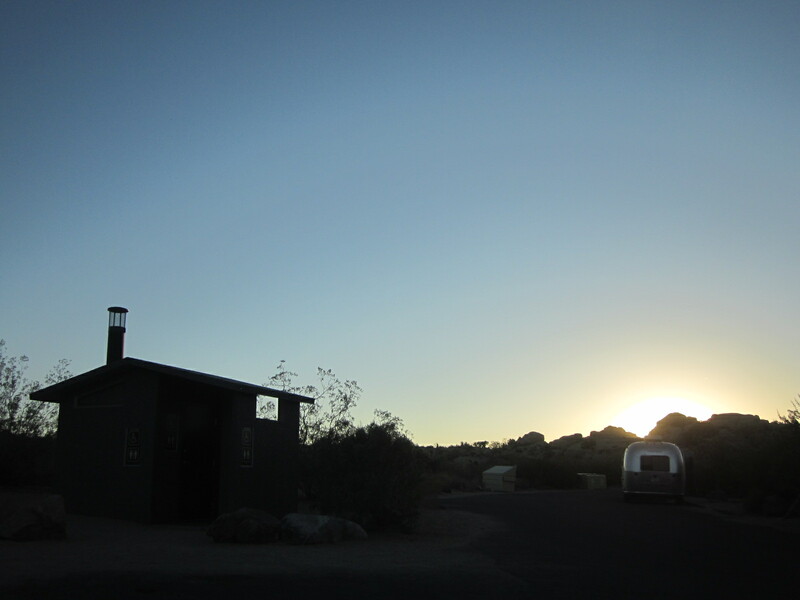 I realized that the instant that the sun broke over the horizon, the bees and ants would be back in full force and I would have to deal with breaking down my tent and camp in that mess. I splayed out on the picnic table and stared at the stars until I began to doze off, then I willed myself to the car for the night. I woke up to the sound of buzzing around my windows and though it is cramped and hot, I knew I made the right decision. 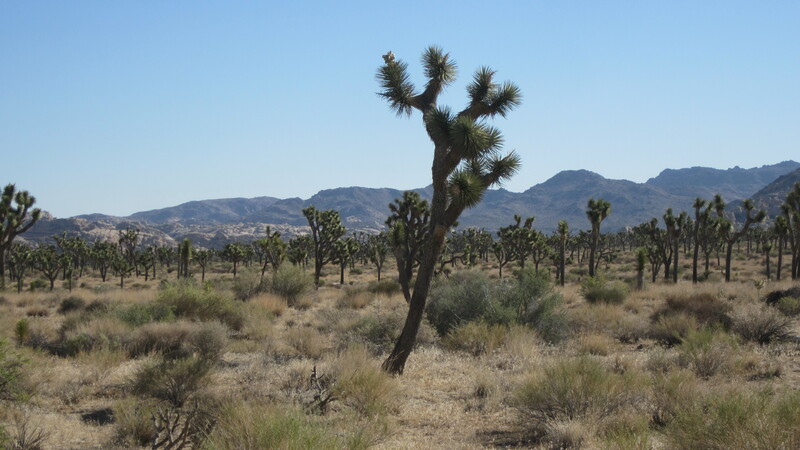 Oh, and there are strange Joshua Trees everywhere. 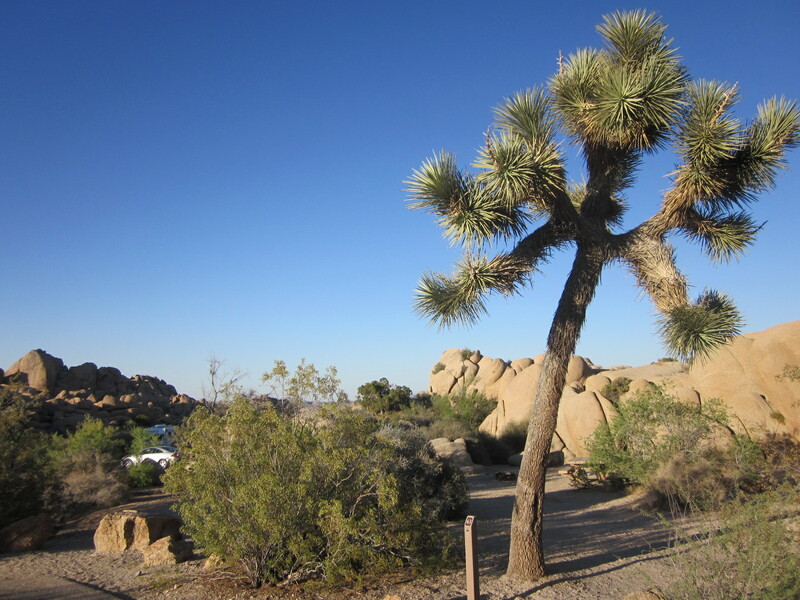 I’m pretty sure that Dr. Seuss designed the Joshua Tree. Coyotes, ants, and bees! Oh my! …is beer one what bees?